For a decade, when I thought of desktop publishing, I turned to Microsoft Publisher. I loved its flexibility, adaptability, and ease of use both for classroom projects and home. But then I moved on to other alternatives, like Lucid Press that were more flexible and affordable for educational purposes. Technology advanced drastically in the past few years, allowing people to create different products with the aid of a computer. One of the most popular products that were drastically improved by the presence of technology is printed materials, which were commercially printed from a single file that was created using desktop publishing software. Printing digital files can be performed in a short period of time, with the finished product being bound with the help of a strong type of glue or screw posts, which securely holds the pages together. Collecting class data, asking for feedback on activities, and pushing out quizzes used to be laboriously accomplished by passing out paper documents, collecting them as they dribbled in, and then collating the data into a spreadsheet where you could sort and shake to come up with the useful information. Besides the ease of use and their digital nature, students love forms because they are anonymous. This means when forms are used to collect feedback, input, and projects, students can participate at their own pace, as quietly as they’d like, with only the teacher being aware of their identity. Q: I need to make my document readable by colleagues that don’t have my software (such as I use MS Word and they don’t). What do I do? 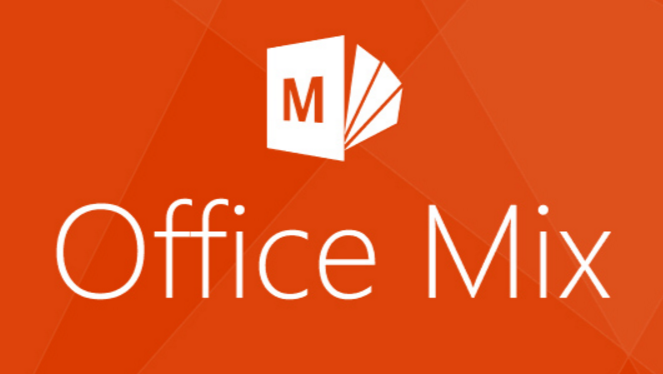 A: In both Google Apps and MS Office, you can save a document in a variety of formats, including the easy-to-read PDF. If you use Google Docs, you can also 1) share or 2) download in a variety of formations including PDF. This is also true of webtools that offer a wide variety of methods for saving and sharing. Pick the one best suited to the task, purpose, and audience. select file type 97-2003 (see first inset below). PowerPoint is the iconic leader in slideshow-type digital tools. It’s considered the most feature-rich, flexible, and diverse of all presentation tools and where everyone goes first (or wants to go first) to create presentations. Though the alternatives are loud and boisterous, over 500 million users choose PowerPoint, 6 million of them teachers. This isn’t new to PowerPoint 2016, but if you haven’t upgraded in a while or simply didn’t know add-ins are available to Microsoft Office, you’ll love these. They are like the add-ins you download to your browser but work within PowerPoint. The first time I ran into these was with a link checker called AbleBits.com to find dead links in my tech ed books. For a small fee, the AbleBits add-in became a tab on my menu bar that I could use anytime to check whether the hundreds of links I had were still working. Now, the add-ins available has exploded. Here’s a link with dozens of them that let you use popular programs within PowerPoint. This includes DropBox, Google Drive, Poll Everywhere, Camtasia, and Adobe Stock. Depending upon the add-in, it will require some or no installation. Some are mini-programs that work within the slide while others are robust added functionality. I’ve called out a few in this list (like Khan Academy and Mix) because they are exceptional. You won’t want to miss them. Most of them, you’ll find in the MS Store. Simply click Add and it’ll download to the program. 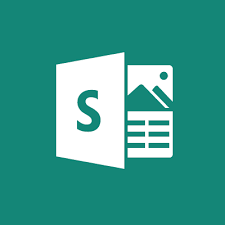 Lately, when I join technology education forums, one of the most talked-about webtools is Microsoft Sway. Though fairly new, Sway has taken over classroom production of visual presentations because the result is visually appealing while minimizing the amount of time students spend formatting a project, giving them lots more time to research and write. Sway is part of Office 365 Education and is the newest alternative to its popular PowerPoint slideshow program. Using the Sway canvas, students select a theme and then add their notes and research. Sway organizes the content, suggests images and even data, and then helps students to quickly arrange everything into a comprehensive and fully-fleshed project. If the selected theme doesn’t work, students simply click “remix” and get a different look. More advanced users can edit the pieces to fit particular colors and interests. When everything’s perfect, it can be shared, embedded, and published. Sway accepts almost any file format, including videos, PDFs, text, audio, images, native camera pictures, charts, audio clips, audio recordings, and links. A completed project can be embedded into any Office app (such as Excel, PowerPoint, or Word) and automatically updates with the original. Sway works in Windows, on iPads, iPhones, and desktops. It is best-suited for Middle School and older, though I’ve seen lots of youngers successfully create engaging presentations. It used to be, every class I taught started with students scrambling for notepaper and sharpening their pencils. Everyone took notes and used those to study for exams. If students wanted to share notes, they had to find a copy machine. Many schools still do this, but there’s a better way: Digital notetaking. Students can use whatever computing device they have — including a smartphone — to record notes that can then be filed, shared, multimedia’d, and collaborated on. There are many options (Notability and Google Keep come to mind), but the most versatile, all-encompassing app I’ve seen is Microsoft’s OneNote. If you think you know OneNote but haven’t looked at the most current edition, take another look. You’ll be surprised at the changes. Part of the free Office 365 for Education (and the fee-based Microsoft Office 365), OneNote opens quickly and allows students to take notes with a keyboard, stylus, or finger. 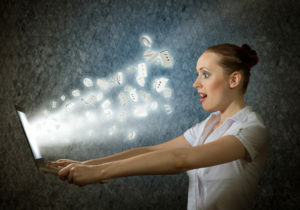 Notes can be text, images, drawings, pictures, audio recordings, videos, PDFs, even captured webpages. OneNote can even tape lectures and then search the recording for keywords. If students get a handout or worksheet, they can add it to a note page by snapping its picture with the free add-on Office Lens, saving it as both an image and text. Before I get into those, let me back up for those who have never heard of Office Mix. It’s a free PowerPoint add-on that turns your existing PowerPoint program into a fully-featured lesson planner. Using the traditional slide decks you love, you can now collect all the resources required for a lesson plan into one place that students watch either as a slideshow or a video. It can include video, narration, audio, polls, screen captures, screencasts, photo albums, charts, tables, annotated notes, images, interactive quizzes, and more. Just like with PowerPoint, you start with either a blank slide or a professional-looking template. Once the slide deck is completed, you share it via link or embed it as a slideshow or video on any device. Because Mix uses audio and video tools to communicate ideas, students are eager to view the resulting lessons, making it a perfect addition to a blended learning program. Q: I want to link a resource in Word/Google Docs to a website. How do I do that? Go to the website you want to link to. Copy the address from the address bar (Ctrl+C or Edit>copy from the menus). Return to your doc (it’s waiting on the taskbar at the bottom of the screen or simply click Alt+Tab). Highlight the words you want to link to the website. Press Ctrl+K; press Ctrl+V; push enter. The words turns blue with a line under them, showing it’s a link. To use the link, Ctrl+click on the words. There are sophisticated options that go along with adding links, but this is quick and easy. Jacqui Murray is the editor of a technology curriculum for K-sixth grade and creator of two technology training books for middle school. She is the author of Building a Midshipman, the story of her daughter’s journey from high school to United States Naval Academy midshipman. She is webmaster for five blogs, an Amazon Vine Voice book reviewer, a columnist for Examiner.com, Editorial Review Board member for Journal for Computing Teachers, IMS tech expert, and a bi-weekly contributor to Write Anything. Currently, she’s editing a thriller for her agent that should be out to publishers this summer. Contact Jacqui at her writing office or her tech lab, Ask a Tech Teacher.